Are you looking for a way to use some old granite countertops you had removed when you upgraded your kitchen? How about changing those old granite countertops into a versatile and gorgeous granite tabletop? You paid for those granite countertops when you had them installed, so what you do with them now is totally up to you. Think of all the beautiful possibilities if you were to use that granite over again as your dining room’s focal point – the table. Why Consider Granite Countertops as a Granite Tabletop? It is easy to repurpose old granite countertops. They are already rounded along at least one edge, making it to where all you must do is take off the parts of the old granite countertops you no longer need and around the rest of the edges out. In about an hour, you can go from having old granite countertops taking up space in your garage, to having an amazing tabletop that people are going to talk about each time they come to your home to share a meal. You never see granite tabletops. People often assume that granite is too expensive to be able to make something like that. Most families have a wooden dining room table, but wood has its faults. It is comparatively very weak, and wood makes keeping the table clean, a much larger hassle. Wood easily dents, scratches, and the finish comes off with time. 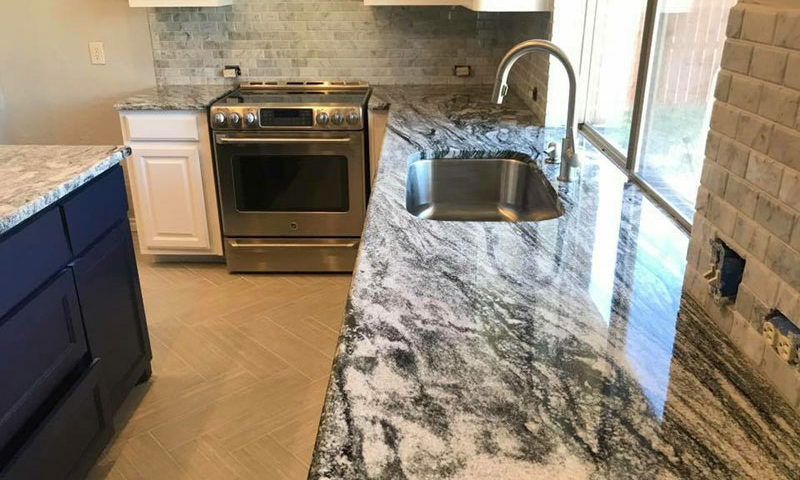 Granite, on the other hand, is incredibly durable, and allows you to use it for all sorts of projects, not just the place in your home that you turn to for meals. Granite adds beauty to the home. It doesn’t matter how you use the granite, it shines and it draws attention to itself. It is a very upscale feeling material, making it something a lot of people will not only notice when they come in, but also envy because of how stunning it will be in your home. Show off your taste and style by adding granite into your home, and watch all the compliments roll in. There are tons of places you can get old granite countertops. Look online. You can likely find quite a few people around Sanger, Texas looking to sell their old ones that were just taken out during a kitchen remodel for next to nothing. Some people are even looking to give them away for free, so long as you go and pick them up. That’s a steal! You go to their home, pick up the old granite countertops, and you are on your way to the granite tabletop of your dreams. Old salvage yards also often carry granite countertops. They go in, take out usable items from homes and businesses that are being shut down or condemned, and sell off those parts at a steep discount. This can be a great place to turn for inexpensive pieces of granite. You can also call your local kitchen store. Many times, when granite is being cut for new granite countertops, it will crack. Granite, while amazingly durable when used as a counter or flat surface, is delicate when you are manipulating it. This means that they may have chunks left over that are perfect for you to use for this home project. They often discount these pieces to get them sold quickly, so you can probably get one at a very inexpensive rate. If you are going to repurpose old granite countertops into a granite tabletop, then get an idea as to what would work best in your space first. You can find granite in nearly any color you can think of, and the designs that naturally come in this stone are breathtaking. You can use that to your advantage. Pick a design that is going to sparkle when used as a tabletop, and pick a color that is going to stand out in your home. Do you have experience cutting granite? If not, before you make the choice to repurpose your old granite countertops, you may want to call in the experts. Finding a company that does have the experience you want is key to getting the result you are looking for. Call in a company that knows not only how to cut and round the granite properly, but also one that knows how to care for granite. Then, when your project is complete, they can help show you how to care for the granite to keep it looking amazing for years to come. If you want help repurposing your granite countertops in Sanger, Texas, call the experts at Granite Huggers. They can be reached at (972)670-4533, and they can show you examples of work they have done in the past!